Urban planning and construction has great potential to contribute to sustainable development, but also to prevent it. Policy and investment decisions affect a variety of social functions and physical structures that are important for peoples living conditions, such as health, accessibility, participation, security and trust. New ways to measure and value investments, which provide a more comprehensive picture of the values that are created, are needed to lead the way to sustainable development. further develop and test methods and processes for measuring and understanding the impacts and values of urban construction investments for sustainable development. Understanding the total value creation of urban development is important to motivate efforts and prioritize between initiatives and actions. The project will analyse governance and collaboration processes in the urban construction process and develop a framework for impact governance and a toolbox with valuation methods to further develop investment calculations. safe cities with good living environments where people meet. However, faster transformation is needed and the knowledge of working methods to be used by many more. Through Mistra Urban Futures platforms, the project will therefore also gather other research and community-building actors in a knowledge cluster to collect, systematise and disseminate research and experience of new ways of measuring, evaluating impact and new framework for sustainable impact governance. 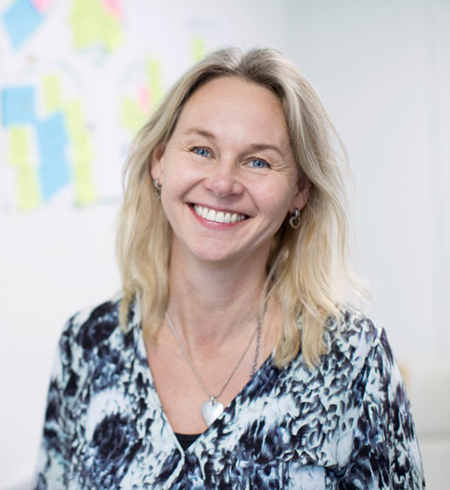 Anna-Karin Stoltz Ehn is Project Manager/Process Manager for Research and Innovation Projects regarding Sustainable Urban Development at RISE Research Institutes of Sweden. Marcus Jahnke is Group Manager at RISE Research Institutes of Sweden. Therese Balksjö is Senior Researcher at RISE Research Institutes of Sweden.